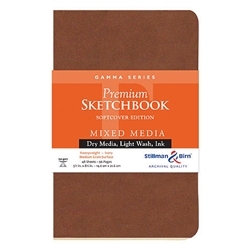 These soft-cover sketch books feature high performance, pH neutral, lignin- and chloride-free. The heavy-weight 100 lb. 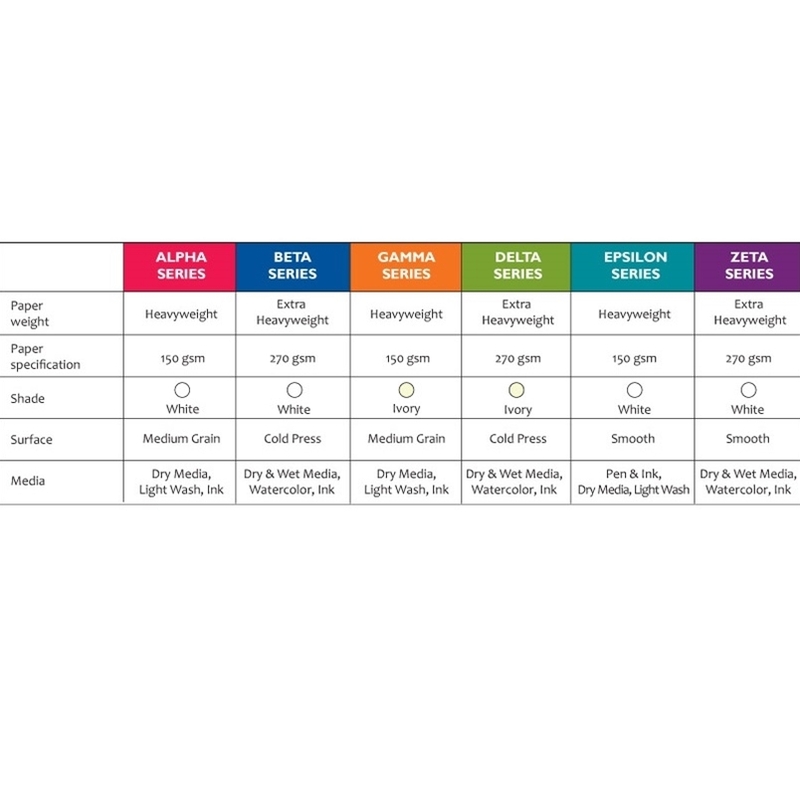 (150gsm) paper has a toothy, medium grain ivory surface, and is suitable for all dry media and ink. With both internal and surface sizing, it will accept light washes as well. 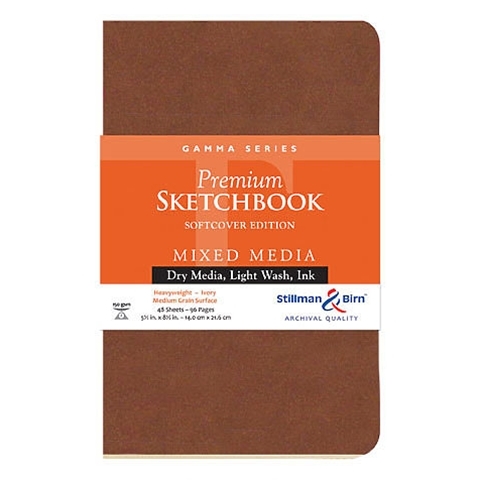 The flexible, yet rugged covers have soft-bound sewn bindings and rounded edges to prevent fraying. Each book contains 46 sheets.